I love, love doing theme learning! I think it gives students an opportunity to explore their own interests while they learn. 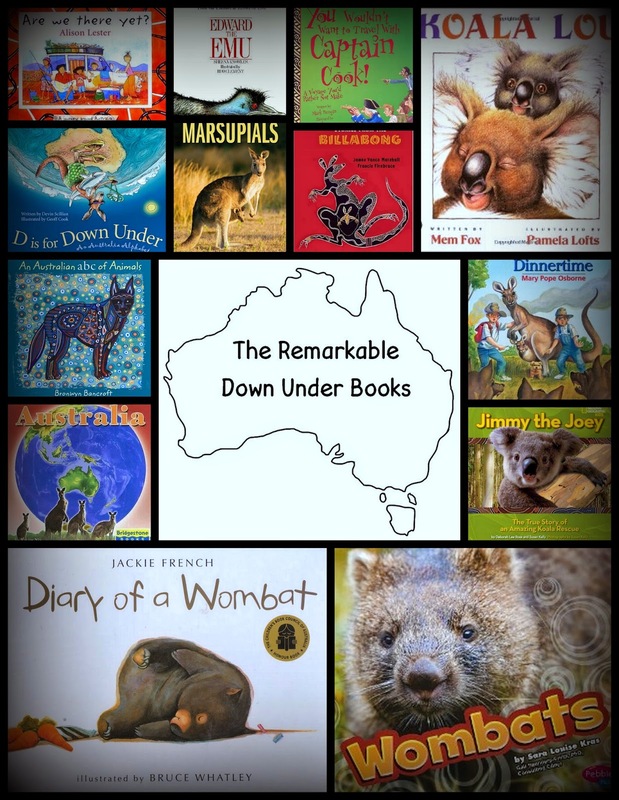 I've been working on my Down Under Critter Unit--and of course came across some great books! Love, Love, love these. Alison Lester is award winning Australian author and illustrator. In Are we there yet? you'll meet Grace and her family and they travel through Australia with its many different landscapes, people and culture. Of course with any road trip, you will always hear, "Are we there yet?" 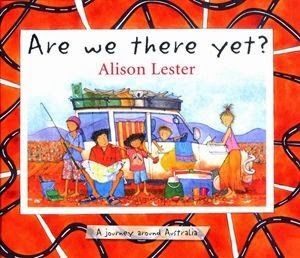 Alison Lester also wrote other great books about Australia! 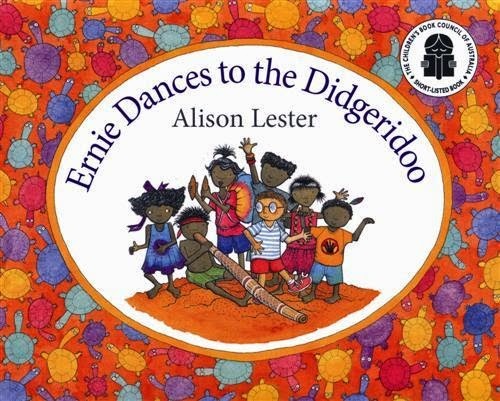 Ernie Dances to the Didgeridoo explores what it means to move, learn about other cultures, and gain new friends. Ernie writes to his friends from his old home as he is making new friends in his new home. This book is written in rhyming couplets. It has spectacular illustrations that children and adults will love. 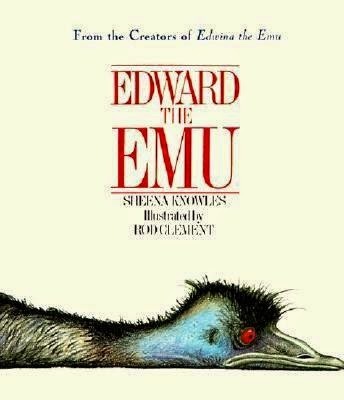 Edward become bored with being an Emu and tries out being several different animals. In the end, he realizes that being an Emu is the best thing to be. If you don't believe me read the book and see. It's a fun book to help students feel comfortable in their own skin. 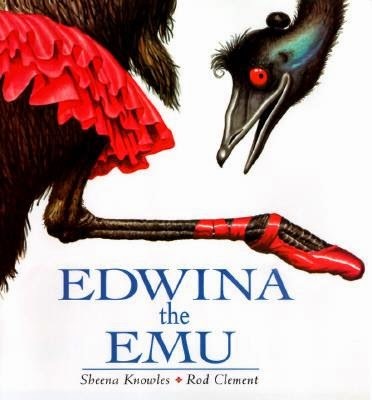 Of course, once you've read Edward the Emu, you will want to read Edwina the Emu. Edwina layed ten eggs, and leaves Emu sitting on the eggs while she leaves the zoo in search for a job. Edwina, of course, couldn't find a human job. She decided that being an Emu was the best job there was. 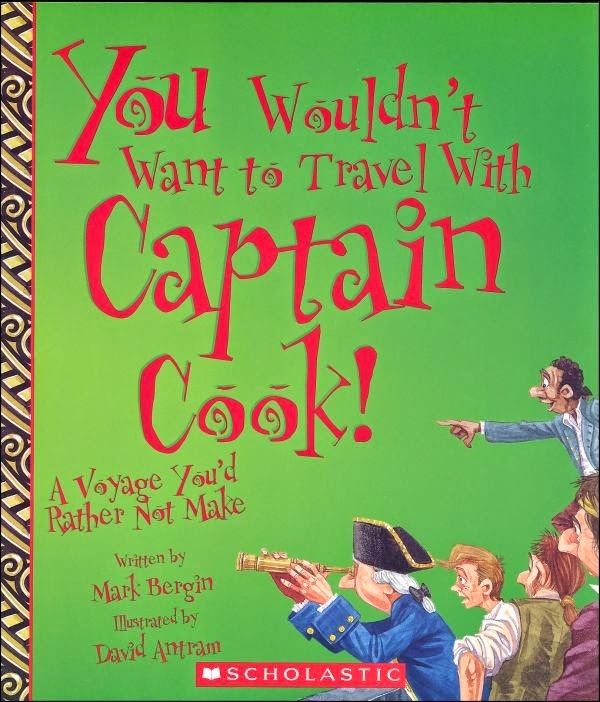 In You Wouldn't Want to Travel with Captain Cook! you become a 16-year old boy who travels with Captain Cook for 3 years. During this time, you watch 41 members of the crew die, eat biscuits with worms, and are attacked by islanders. You also are with the first European to chart the entire coastline of New Zealand and the eastern coast of Australia. The book is filled with handy hints such as, "It's best to eat the ship's biscuits in the dark, so you can't see the pesky weevils!" and "The Maori traditional welcome is rubbing noses." The book is packed with information! 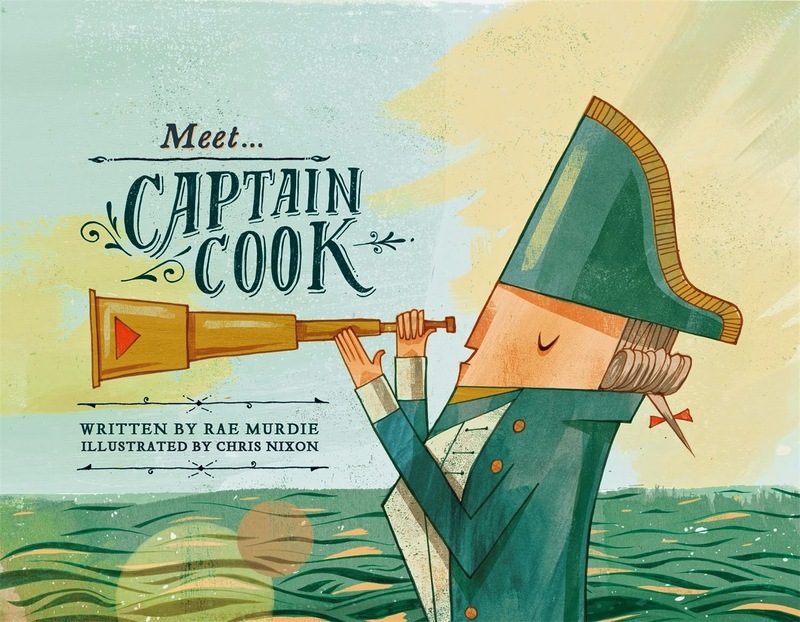 A great companion book to Bergin's book is Meet Captain Cook by Rae Murdie. In 1768, Captain Cook, along with his crew on the HMS Endeavor, leave England and set out to look for signs of a large southern land form. 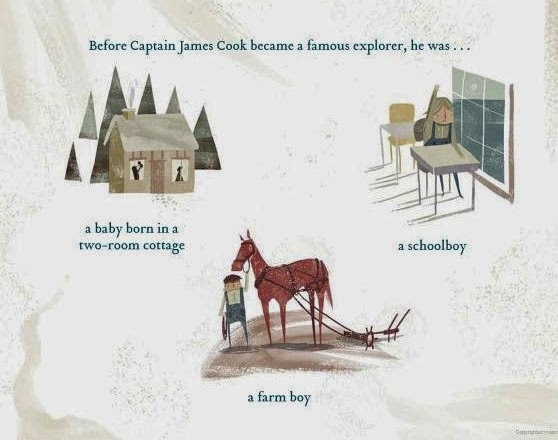 Meet Captain Cook is the story of how he and his crew discovered eastern Australia. The illustrations are amazing. He was a scientist, an explorer, and at one time a farm boy. It is a great book to learn more about Captain Cook. Luckily Mem Fox wrote two books about Australian Marsupials. 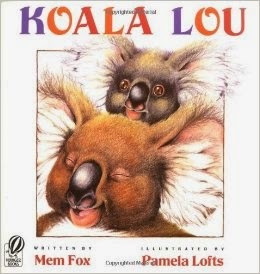 Koala Lou, is a feel good book about love, loss, and yes love again. As always with Mem Fox, amazing writing, and superb lesson. There is someone who always loves us! The illustrations bring to life the main character and the supporting characters. We chose to study Australia for its unique habitat and animal kingdom. The book does not disappoint in bringing wonderful illustrations and animals to life. 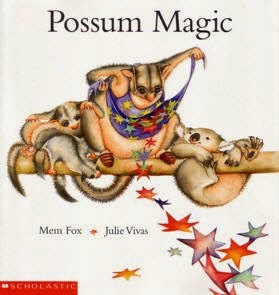 Of course if you like this book, Possum Magic my Mem Fox is also a great read! Possum Magic is about a possum that turns invisible, but can't be turned visible again. Of course, like all wonderful children's books the problem is solved. Grandma starts looking for the food that would turn Hush visible. They travel through Australia in search of the perfect food. They finally find the right combination, so Hush could stay visible. A great book to teach students about geography and food of Australia. It's always nice to go on an adventure with Jack and Annie, especially when everything is still, absolutely still. This book is set in ancient Australia, and they are trying to save the dog Teddy. This is a warm photographic journey of Jimmy, a koala joey, from his rescue to his return to the forest. 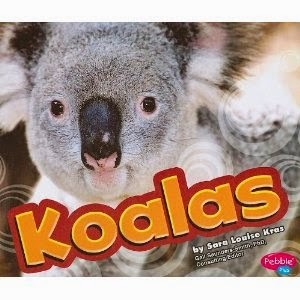 Within the story's framework, you will learn about koalas: their birth, habitat, and their way of life. 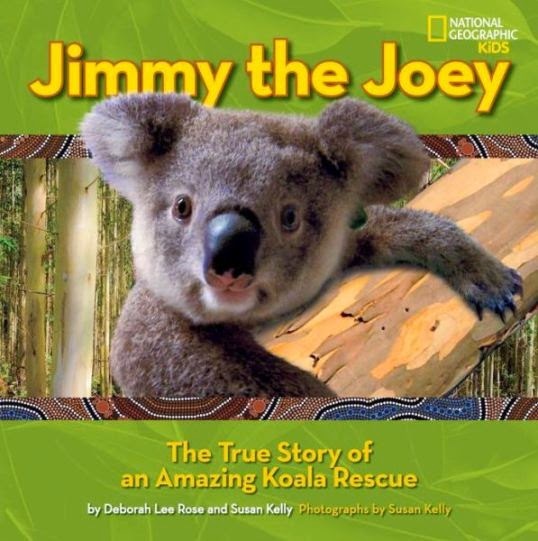 In addition, you will learn about the dangers koalas face, and their struggle for survival. Finally, you will meet caring adults who help save the koalas. For animal lovers and non lovers alike--you will love the book for its beautiful writing and photography. I love these Pebble Plus Series. They are the just right book to introduce students from pre-k kindergarten and the primary grades to nonfiction. 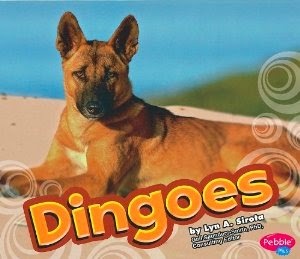 I found these otherbooks about Australian creatures as well. These are a great way to engage young readers to the animals! 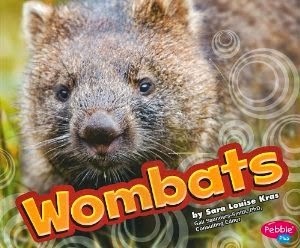 Once you learn about Wombats, you will also want to read a diary. 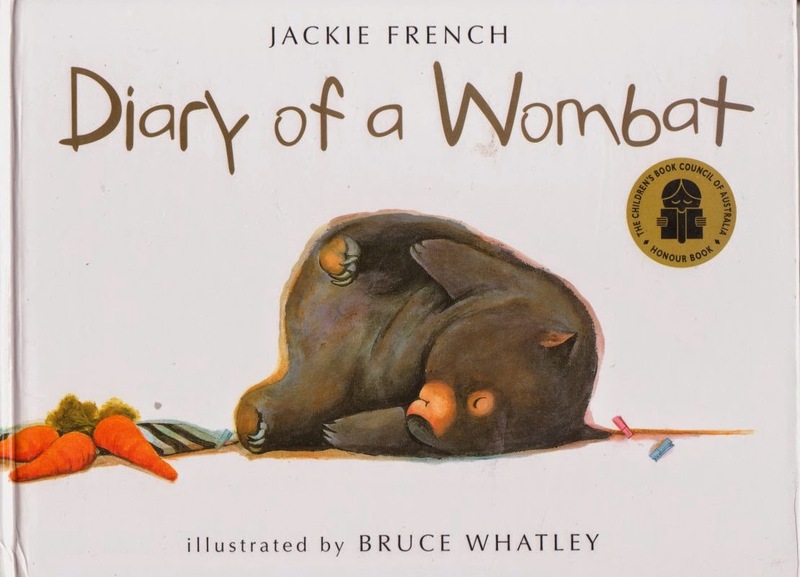 This is a fun book that shows just how much a wombat sleeps and eats. They are peaceful slow moving marsupials who dig holes everywhere. Very fun introduction to wombats and the structure of telling a story in a diary format. 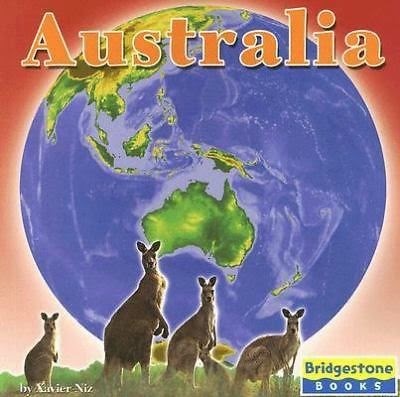 This book describes Australia, including its climate, landforms, plants, animals and its people. It was a great beginning to our Australian unit. I just love the illustrations of this book! They are truly art. They have the same feel as aborigine cave art and face art. Love, love all her books! 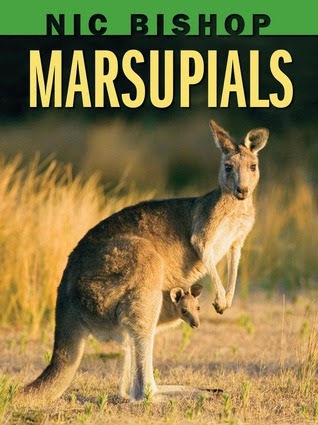 I couldn't forget Nic Bishop's book on Marsupials. His great photography and writing always bring any subject to life. 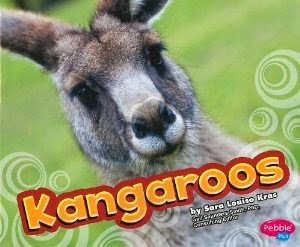 Because Australia hosts the most Marsupials, this is a perfect book for our Australian unit. I have always loved a good story, and this book has ten! 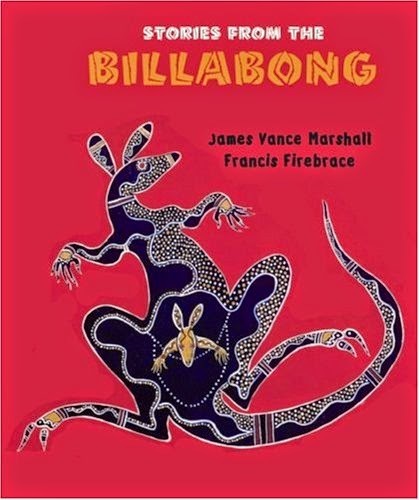 In Stories from Billabong, Marshall elegantly and accurately retells ten aboriginal legends. 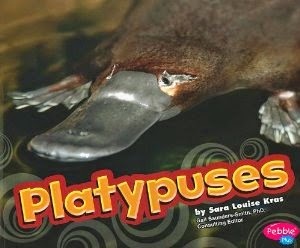 Readers discover how a kangaroo got his pouch and the unique origins of the platypus. 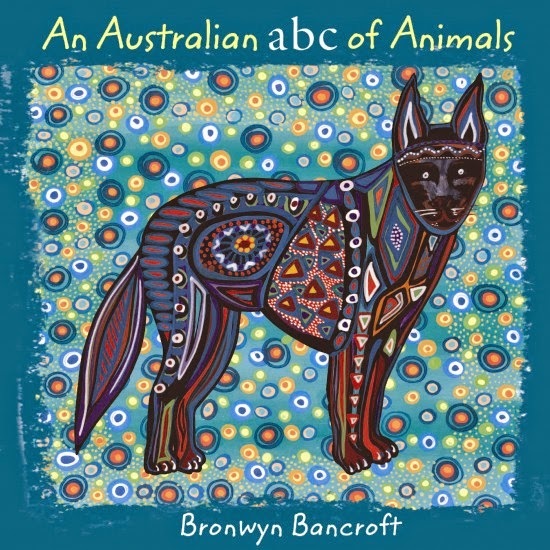 It is a welcome addition to an Australian Unit and can be a great addition to a folktale unit. The illustrator stays true to aborigine art: using the four traditional colors: red, black, yellow, and white. The illustration of the crocodile and platypus are truly stunning. The books includes a three page glossary of terms, symbols of the aborigine, and an introduction to the aborigine people. Of course with any list, there are always ones you miss! Like Alexander and the Horrible, No Good, Very Bad Day, by Judith Viorst. 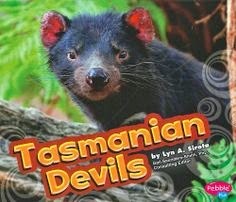 Although not about Australia, I still think Australia is pretty cool after reading this book. I don't want to leave out Australian author John Flanagon. My son read the entire Ranger Series. He even dressed up as Will for Halloween. We are now awaiting book four of the Brotherband Series. Just in case I missed more, you can find great recommendations directly from Down Under. She gives her top 30 Australian book. Please find other great books on the book talk linky. I know I have found some! Have you read Stolen....it is a vey disturbing book written by an Australian author. I am taking a two week art class this summer and all the art techniques center around Australian art. I haven't read it, yet! I would love to take an art class on Australian art! I did read The Mutant Message Down Under. It is a realistic fiction memoir fantasy. In other words, it is written in a memoir style, but much of the book has been disproved. It was interesting because the women goes on a walkabout with an aborigine tribe. I've loved getting to know these authors as I've been preparing a doing my Aussie unit!